Storms of the future are likely to be more intense and frequent, and they certainly will be more costly. While we cannot predict when the next storm will come or what it will look like, we are learning about how oceans behave, in terms of their physical dynamics (currents and waves), the habitats they support, and the interrelationship between the dynamics, geomorphology and habitats. 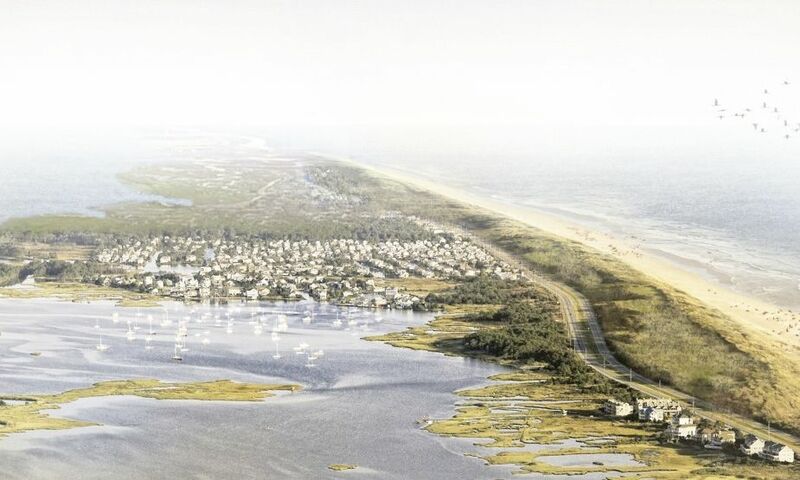 We asked ourselves “if we had planned and designed our coasts with coastal processes in mind, would there have been a way to deflect to storm driven surges with a set of barrier islands located offshore in the coastal waters?“ The results demonstrated potential for saving lives and billions of dollars across the region. 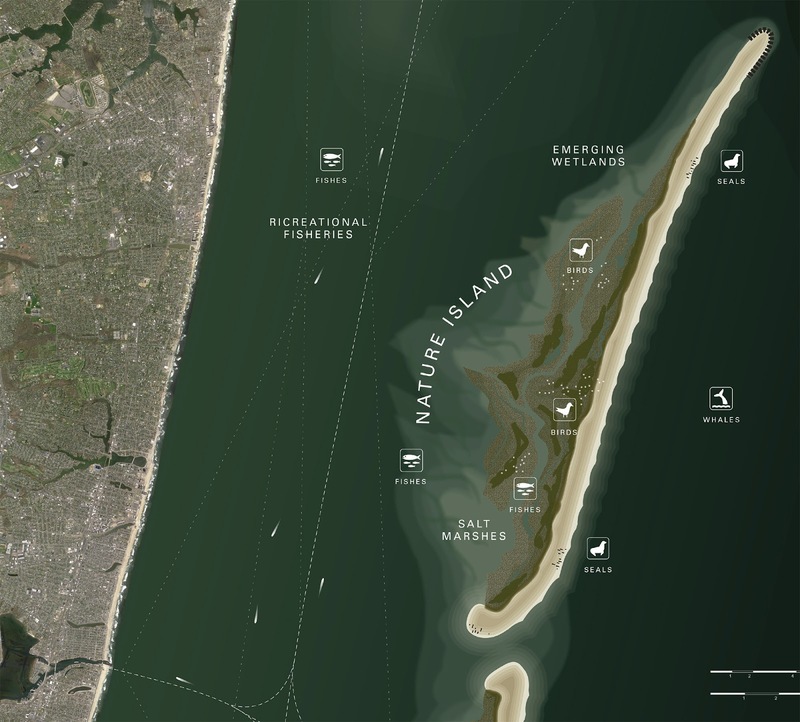 The resulting proposal to create an offshore barrier island chain centered on the NY/NJ harbor is called “The Blue Dunes” – blue indicating their position in the open ocean, and dunes for the natural landforms they mimic. Today this proposal stands at a crossroads – we have discovered this potential for the future of coastal protection, but much work needs to be done. 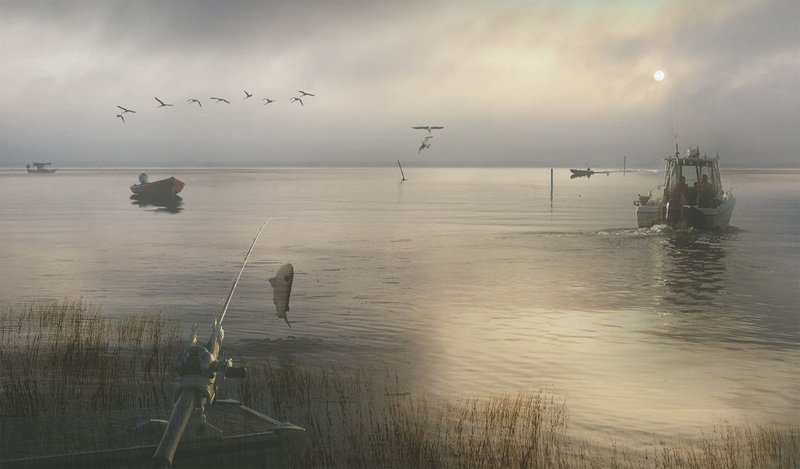 The scientists, engineers, planners, economists and maritime stakeholders that have participated to date have identified the key issues that need to be addressed, including water quality, habitats, recreation, navigation, constructability, and funding. 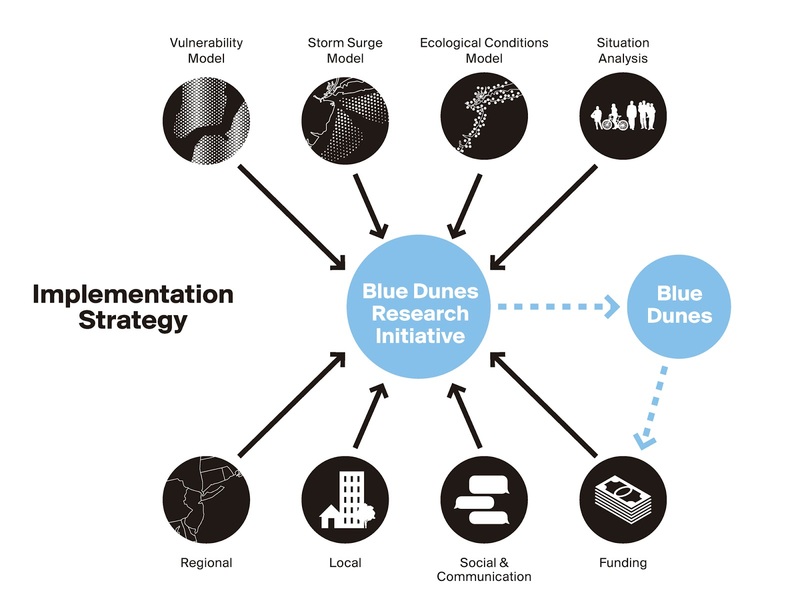 We propose the creation of an initiative, Blue Dunes Research Initiative (BDRI) to explore these issues and develop a new approach to coastal protection. 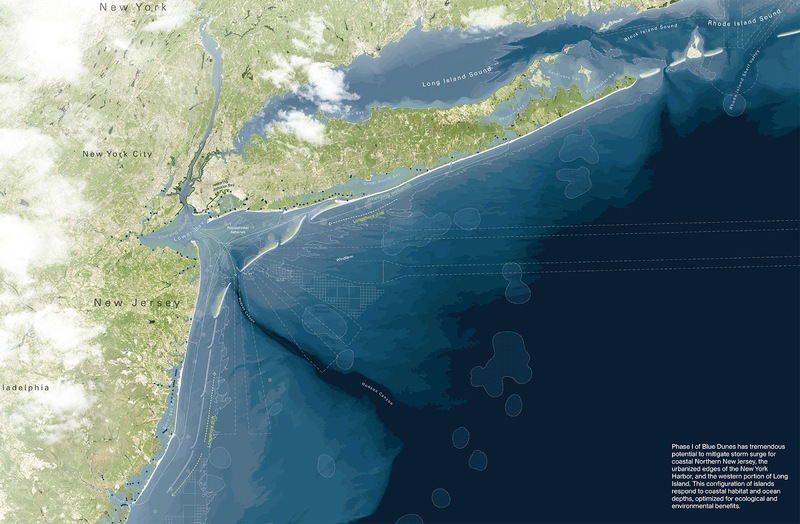 The work needed to create the first phase of storm protection offshore will supply the region’s coastal communities with new planning tools and resources. 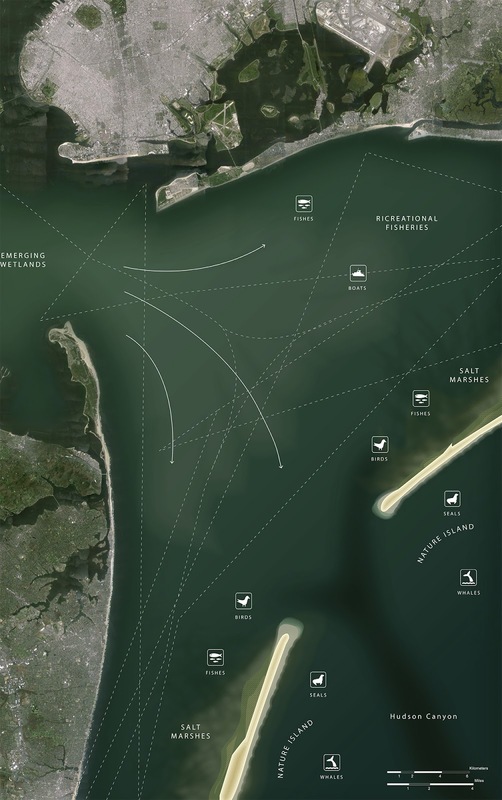 BDRI is a catalyst for creating a knowledge network and will include the entire region’s urban coastal communities, from the organizations that serve them to the scientists invested in researching them. WXY / West 8 investigated a new form of designed coastal protection that would, on a large scale, mitigate risk for life, economy and property within coastal zones. There is a long history in the United States of infrastructure investments driven by national interest. 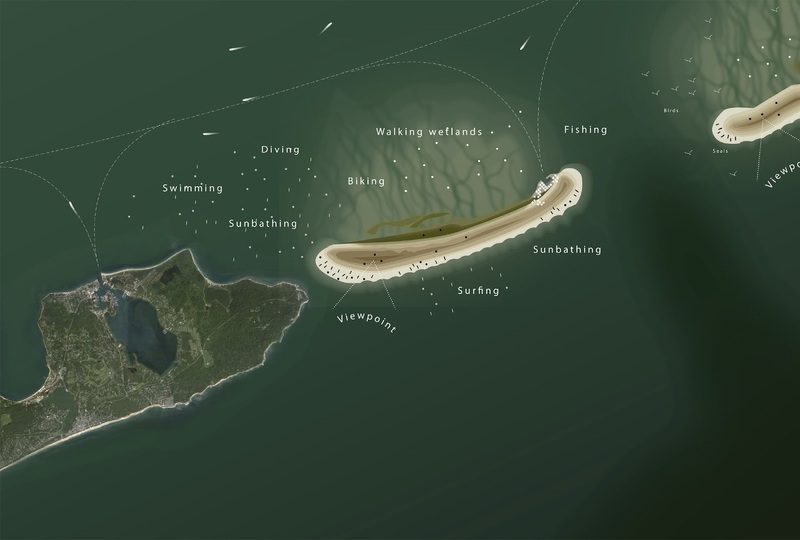 In the face of the complexity of coastline development, the construction of offshore dunes, potentially coupled with offshore wind renewable energy, may be required to prevent larger scale economic losses. This approach has the ability to be an important line of defense for a wide variety of storm types. 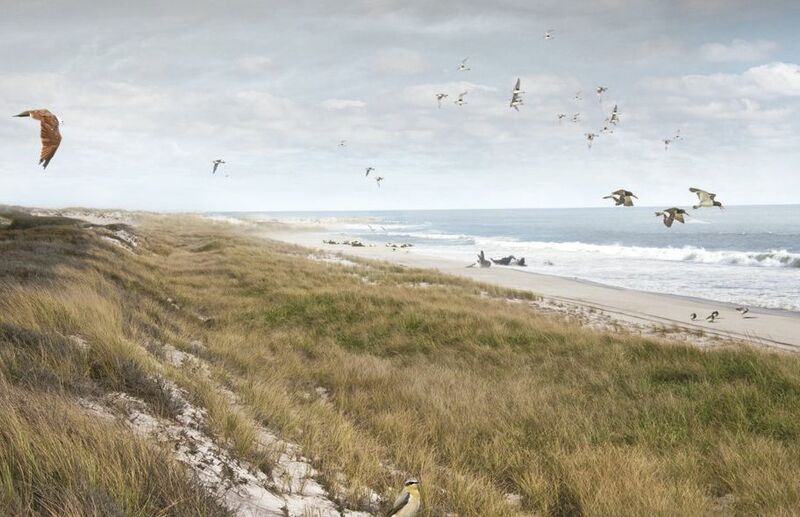 Building offshore dunes, further out in the ocean than previously considered, results in the scale of annual savings for flood insurance that can draw on investment nationally and internationally. 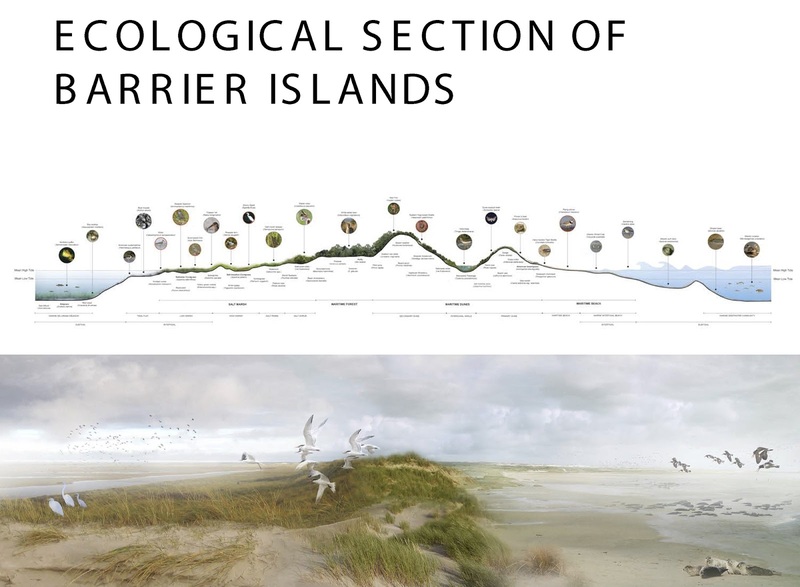 The marine coastal map allows our team to define the key features of a comprehensive inland-beach-island-marine section, and then tie these physical characteristics to our team’s economic, social and political analysis of the benefits obtained from soft-edged storm surge risk reduction. 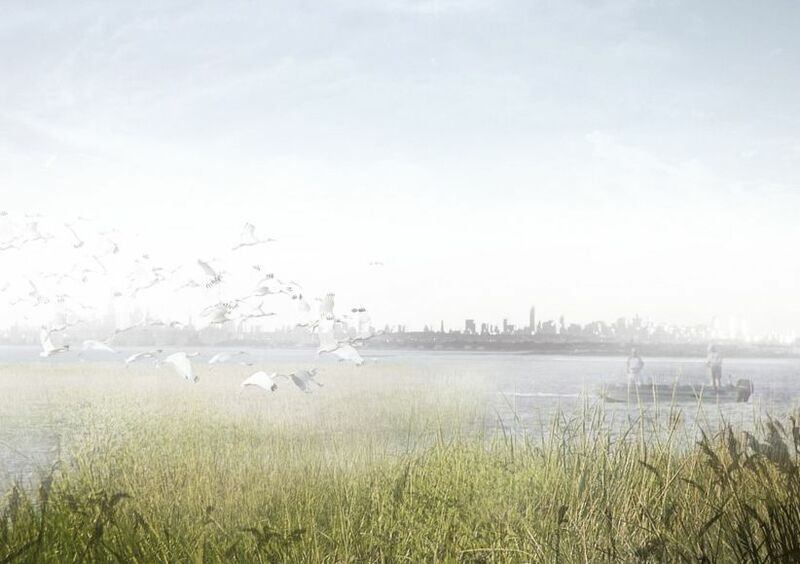 Our ultimate goal is not the mastery of nature, or the avoidance of sea level rise. Instead we seek to understand and work with the processes of nature to create a multi-layered system with the inherent capacity to adapt and change over time. Many issues related to storm defense that the scientific community addresses are regional in scope: hydrodynamics, levels of salinity, coastal fishing economies, energy and wind dissipation of storms, and basic wave physics. Our proposal transcends political jurisdictions, and speaks to the regional issues that are at play in the Mid-Atlantic coastal systems.